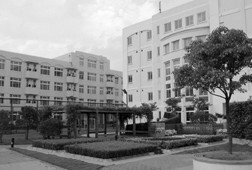 Shanghai Vanke Bilingual School was formed from the International Bilingual C Program of Fudan Vanke Experimental Private School and upholds the educational philosophy of integrating Chinese education essence to Western education essence. Founded in 2006, International Bilingual C Program aims to merge the Chinese education essence with Western education essence. Through nine years of practice and exploration, students are equipped with not only good learning habits, but also diversified thinking ability. The Chinese-English language ability of the grade-6 students has reached the level of twin mother-tongues. In Chinese language ability examination, the students are among the best of Minhang district. The English proficiency assessment of the students is based on the American ITBS. According to the historical test performance, students of every grade are better than American students of the same age in English proficiency. The test scores of Grade 9 students exceed the average scores of the American Grade 10 students. At present, there are students from 20 countries and regions, including the United States, Canada, Britain, Singapore, South Korea, Hong Kong, Macao, Taiwan, and Mainland China. Having our child in the C-Ban program, he has been able to learn from both foreign teachers, along with Math and Chinese subjects being taught by local Chinese teachers. Our child has been able to learn to think for himself, problem solve, and work in a team environment. We think that the school is doing quite well. An area that we all believe could be better in is the fact that there is just too much homework being given to students. Good, small class sizes, positive environment with hardworking and caring faculty.